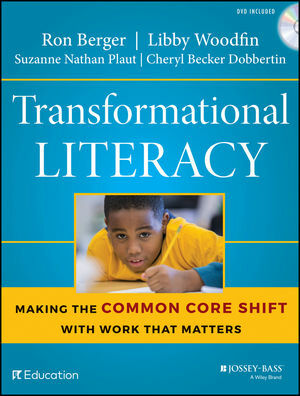 Transformational Literacy, written by a team from EL Education, helps teachers leverage the Common Core instructional shifts—building knowledge through content-rich nonfiction, reading for and writing with evidence, and regular practice with complex text—to engage students in work that matters. Worthy texts and worthy tasks help students see the connection between their hard work as readers and writers and their capacity to contribute to stronger communities and a better world. The stories, examples, and resources that permeate Transformational Literacy come primarily from the more than 150 EL Education schools around the country that support teachers to select, supplement, customize, and create curriculum, and improve instruction. The book also draws on EL Education's open source Common Core English Language Arts curriculum—often cited as one of the finest in the country—and professional development offered to thousands of teachers to implement that curriculum effectively. Transformational Literacy combines the best of what EL Education knows works for kids—purposeful, inquiry-based learning—and the new imperative of the Common Core—higher and deeper expectations for all students. Transformational Literacy introduces an approach to literacy instruction that will engage, challenge, and inspire student with work that matters. Ron Berger, chief academic officer for EL Education, taught public school for more than twenty-five years. Libby Woodfin, a former teacher, is director of publications for EL Education. Suzanne Nathan Plaut, a former high school English teacher, serves as the director of curriculum design for EL Education. Cheryl Becker Dobbertin, program director for EL Education, is a former teacher and building administrator.